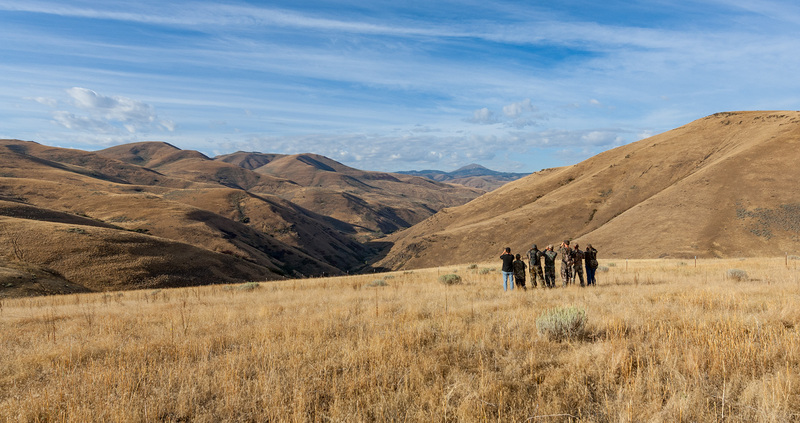 Idaho Power provides access to parts of our Daly Creek Habitat Management Area (DCHMA) in Hells Canyon for youth hunters (ages 12–17) interested in hunting upland birds, deer, and elk. Youth with an access permit to hunt deer or elk may also hunt cougar or bear during the permit period. In 2019, 50 access permits will be available. Permits are granted through an application process that follows the Oregon Department of Fish and Wildlife (ODFW) standard youth hunter rules and regulations. We want youth hunters to have a quality hunting experience. The hunt is in a back-country setting and demands skill and effort. Youth hunters must be accompanied by skilled adult hunters. This rocky, roadless, sagebrush covered rangeland varies from moderate to extremely steep. Hunters access the property by foot or horseback. Daly Creek Youth Hunt results for 2018. For assistance with a PDF on this page or to request a PDF in an alternate format, please contact Customer Service at 208-388-2323 or 1-800-488-6151.